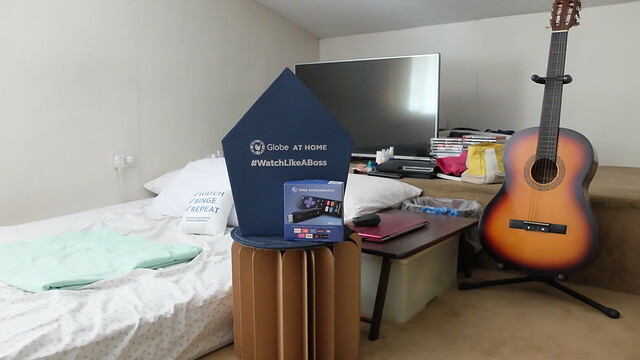 Just when I thought my woman cave couldn’t get any better, Globe came through and upgraded it even more—with their Globe At Home Roku Device! If you’re new to the blog, let me talk about my woman cave (which I like to call #TheRealGretasJunkyard) a little bit. It was something I started building in our attic about two years ago when the Cupcake gave me an LG 43-inch LED TV, a Google Chromecast, and his PlayStation 3 for Christmas. Since then, I would play WWE 2k and FIFA, and use my phone to cast all my favorite shows from Netflix, iflix, and other streaming apps (like the WWE Network). By adding my guitar and a setup where I can film makeup tutorials and take flatlay photos for the blog, I practically never want to leave my woman cave nowadays! 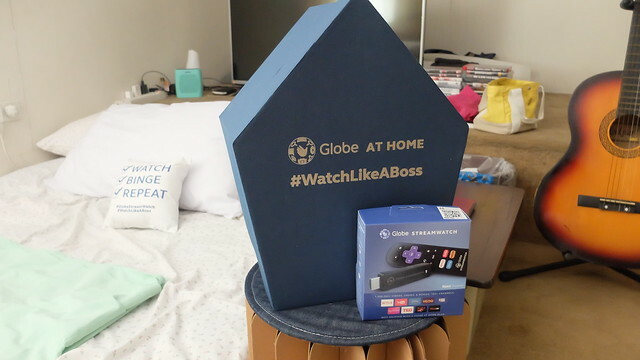 And then two weeks ago, Globe introduced their Roku Device at La Creperie in Burgos Circle, and now I feel like I just need to add a mini refrigerator in my woman cave and never leave the attic again (except to use the bathroom). Hahaha! The first time I encountered a Roku Device was when I lived with my best friend in Buena Park, California for two months early this year. 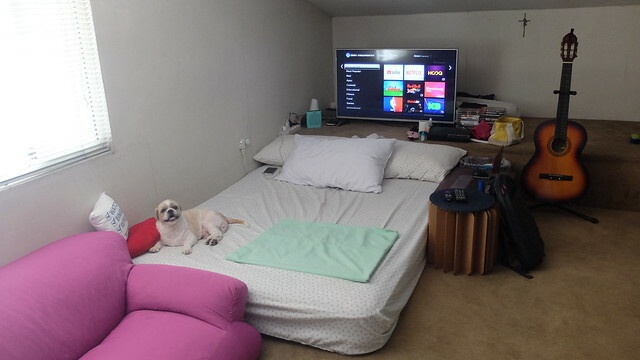 On days when she had work and I had no plans to head out and explore, I would stay in their family room and watch Netflix the whole afternoon through their Roku. So playing around with the Globe At Home Roku Device was very familiar to me. It’s really easy to use! It literally looks like a USB that you plug into your TV’s HDMI port, and setting it up only took a few minutes. The remote is very straightforward as well. 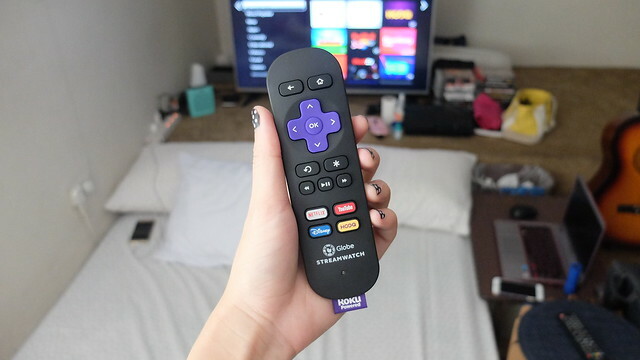 Basically, it turns any regular TV into a Smart TV, by offering more than 100 free channels in different categories under sports, lifestyle, travel, and more. The most popular ones include Netflix, Disney, and HOOQ. It also has YouTube, NBA, Fox+, etc. It’s exclusively available through Globe At Home broadband plans from 1299 and up, and you can get it for an additional Php 50 for 24 months or a one-time payment of Php 999. The plans come with a free three-month access to Netflix, Disney, and HOOQ as well. I was so surprised to find it incredibly affordable, and you can instantly bond with your family and friends through your favorite shows and movies. Me? I love watching them with Booboo right beside me! 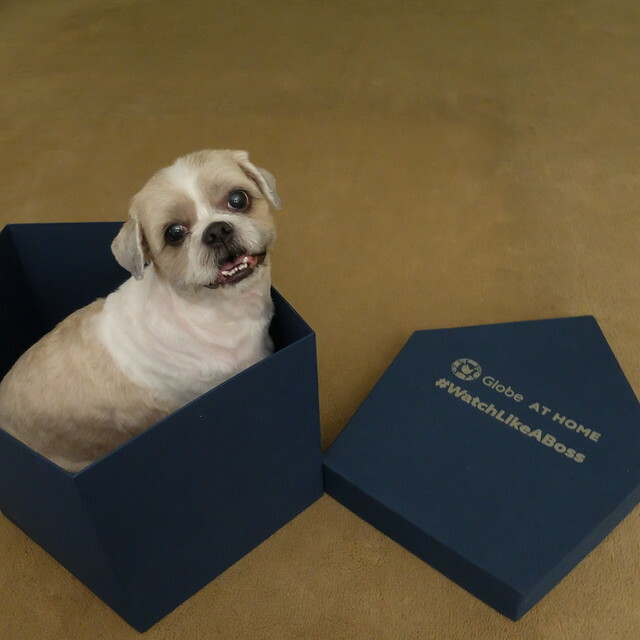 Booboo loves entering boxes where he knows he’ll fit. Hahaha! 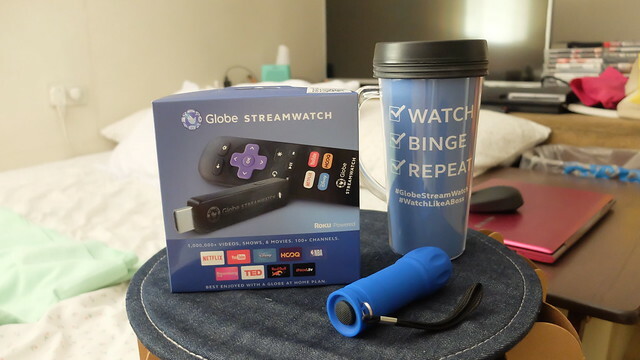 To know more or to order the new Globe Streamwatch, visit https://shop.globe.com.ph/streamwatch! Hello po. 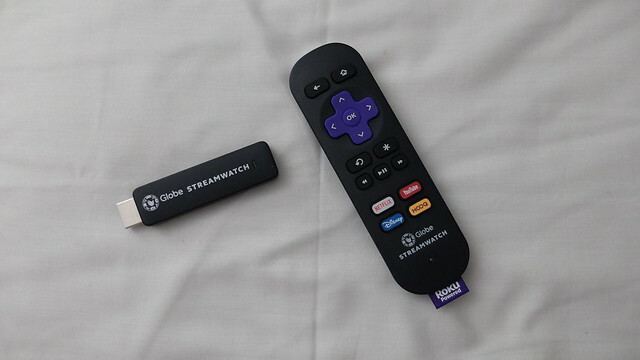 I just wanna know if you can view iflix using the globe roku powered streamwatch? Wow, very impressive. How long did you do all of this? I like the ambiance of the place.. Great job. Thank you! 🙂 I think around 6 months?